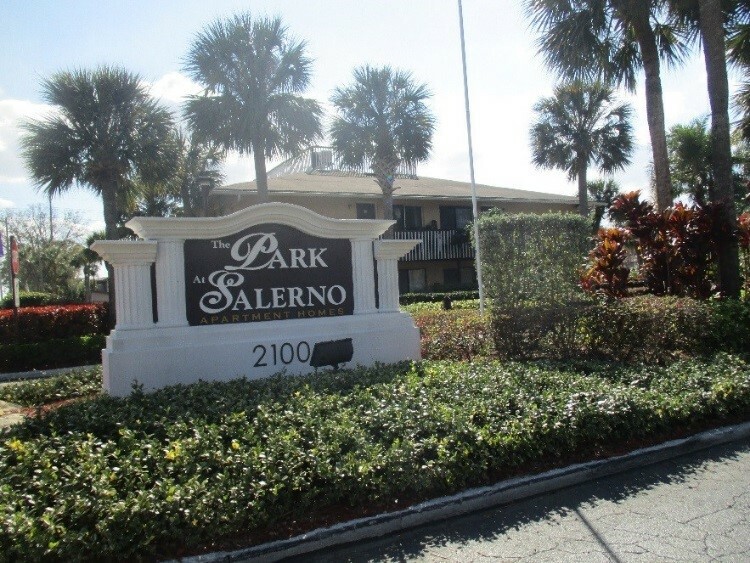 Walker & Dunlop, Inc.(NYSE: WD) announced today that it closed a $15,520,000 loan with Fannie Mae for Goldelm Apartments’ (the “Borrower”) acquisition of The Park at Salerno, a 200-unit, garden-style apartment property in Orlando, Florida. Walker & Dunlop’s Dustin Swartz led the origination team and arranged the asset’s debt placement utilizing Fannie Mae’s Green Rewards program. The loan was structured as a fixed rate, 12-year term with an initial 5-year interest-only period, followed by a 30-year amortization schedule. The Class B, multifamily complex was built in 1972 and has been fully renovated over the past two years with over $2.2 million of capital expenditures. The property consists of 25 two-story apartment buildings, two one-story clubhouses, and a one-story leasing office. The Park at Salerno features two swimming pools and three laundry areas as well as a fitness center, dog park, and playground with barbeque grills. The asset is located in a residential, suburban neighborhood about three miles southeast of the Orlando Central Business District.